EDIT: forgot to give the specs on the box. Its gonna be made out of 3/4 inch mdf with a plexiglass front and port. 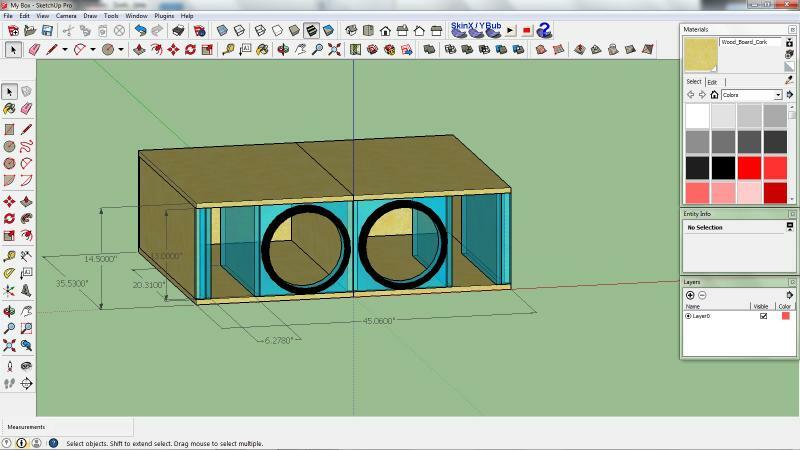 I designed it using bass box pro and drew it on sketchup which i am very familiar with and use sketchup for everything. Well i tuned it at about 36hz and with a 4.23 cubic feet. the port is a retangular port and is 13 in x 6.25 x 20.31. Your subs will take up about .23 cubic feet a piece. In case you didnt crunch those numbers in your calculations. Your port, in my opinion, is too wide. Id make it 13" tall, at MOST 3.5" wide" and 20.31" deep. Change your port width to 2.5" to 3.5" wide and it should be slammin your trunk off.